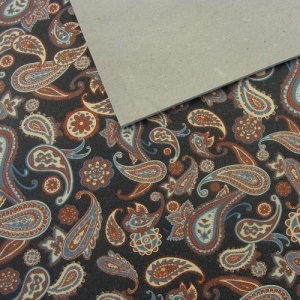 This is a stylish paisley print leather, 1.6mm thick. 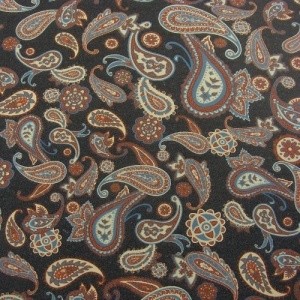 This print has a dark blue background colour and the paisley pattern is made up of rust, cream and mid blue. This is a chrome tanned leather with a pale grey core and reverse.